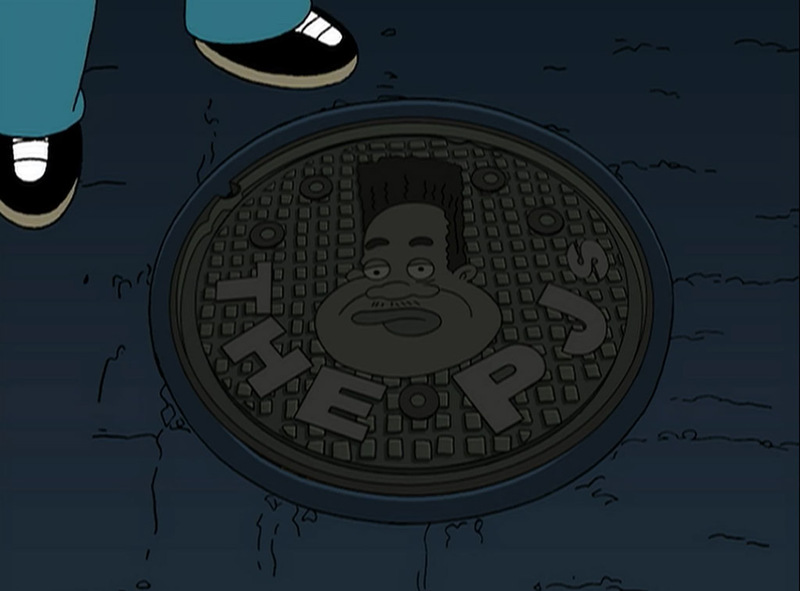 The manhole from Eddie Murphy’s tv show, “The PJ’s” appears in the “The Luck of the Fryish” episode. 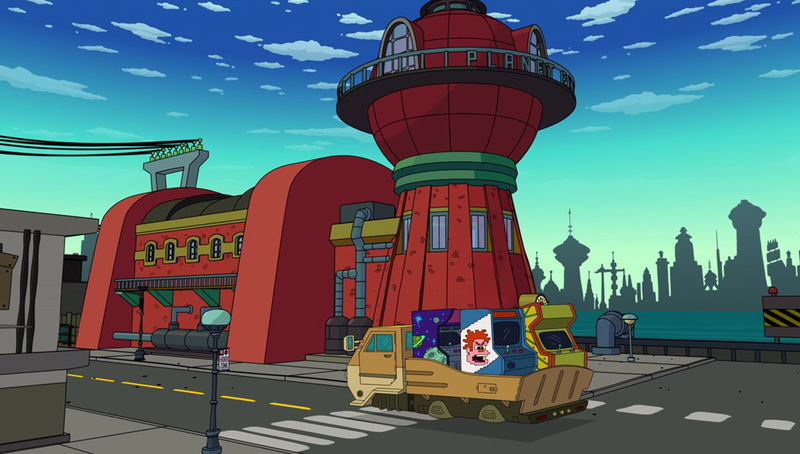 A Wreck-It-Ralph arcade game cabinet can be seen during one of the transition scenes. 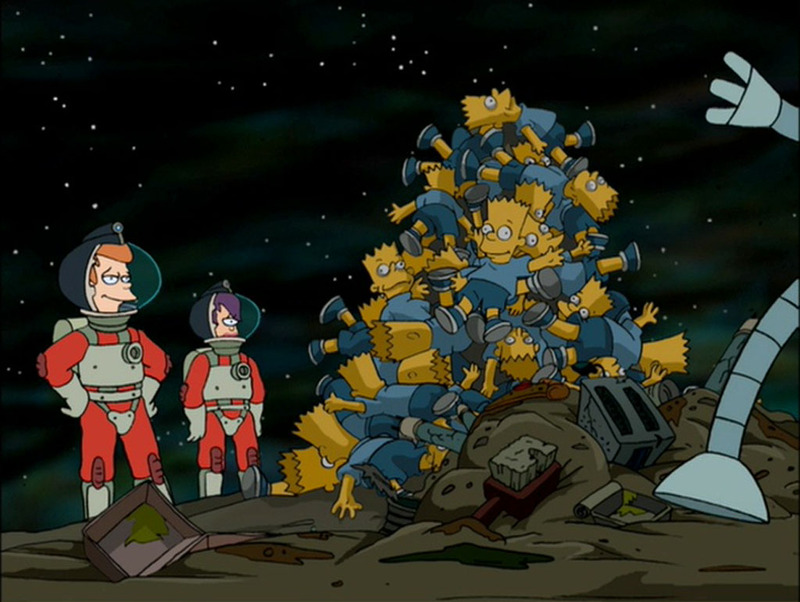 Dolls of characters from The Simpsons can be seen multiple times throughout the series. 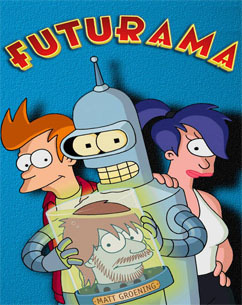 Jake and Finn from Adventure Time make a quick cameo during Season 9 where they meet Bender.